Who – are La Fosse Associates? La Fosse Associates is one of the fastest-growing recruitment agencies in the technology, digital and change sphere. 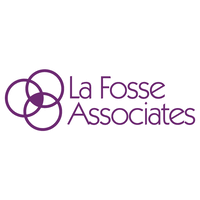 Founded in 2007, La Fosse provides its clients with a ‘one-stop-shop’ for all their hiring needs, while its commitment to candidate and employee care ensures it has access to the best recruiters and talent in the market. This business model has helped La Fosse evolve into a £100 million business within a decade, with over 170 recruiters based in four UK and two US offices. In 2018, La Fosse was crowned Best IT/Technology Recruitment Agency in the UK. Why did they hire FYXER? La Fosse appreciates the importance of attracting, recruiting and retaining talent to sustaining business growth. They specialise in not only placing the most suitable candidates with their clients, but advising scaling companies on how to develop effective talent acquisition and retention processes in-house. As specialists in the hiring game, La Fosse knew exactly what they were after when looking for an experienced assistance solution to help streamline their activity. They turned to FYXER. What – did FYXER do? La Fosse didn’t want an Ikea-style assistant that required building before it would work. They wanted an experienced, reliable and proactive assistant who was ready to go whenever called upon. FYXER provided just that. From the outset, FYXER was able to take charge of the fluid intricacies of executive's lives and make them more efficient without needing instruction. From booking meetings with clients and researching their needs to overseeing training schedules and project management, Fyxers served as an extension of their executive. How – did FYXER make a difference? La Fosse already had some assistants in place, but needed additional support that would save them time, not add to it and was therefore on the look-out for a ready-made solution. 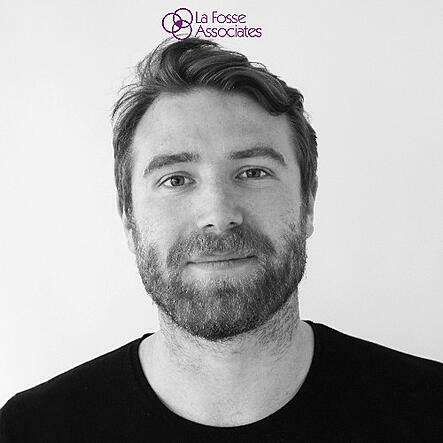 As Fyxers are placed, on-boarded and managed externally, La Fosse executives were able to reap the benefits of an experienced assistant without having to spend time hiring, training or developing a full-time internal employee. Meanwhile, as a trusted confidante outside of the company structure, but in tune with its practices and performance, La Fosse executives were able to test-run ideas with Fyxers before taking them to their teams and focus more of their energies on their clients than their employees. FYXER takes charge of hiring, training and managing its assistants so they save you time, instead of adding to it. Here’s why La Fosse Associates loved our unique approach. “As an HR professional, I may be a little biased, but having great people and effective HR frameworks are the building blocks of any successful business and if you ask me, that’s FYXER in a nutshell. From Day 1, their high-quality team are providing answers, not questions, while their HR processes are efficient and hassle-free. FYXER is an HR dream”.